Those of us who work from Joynture in NYC are lucky to have endless food and drink options nearby… so many, in fact, that I sometimes find myself in decision paralysis as I think about what I want to eat for lunch… or breakfast or coffee or happy hour. I’ve come to rely on a couple of resources, depending upon what I’m looking for. Today, I’ll highlight Ritual. While this is billed as a general NYC app, we’re lucky in that it has the greatest density of options downtown. Ritual is worth downloading because it does three things. 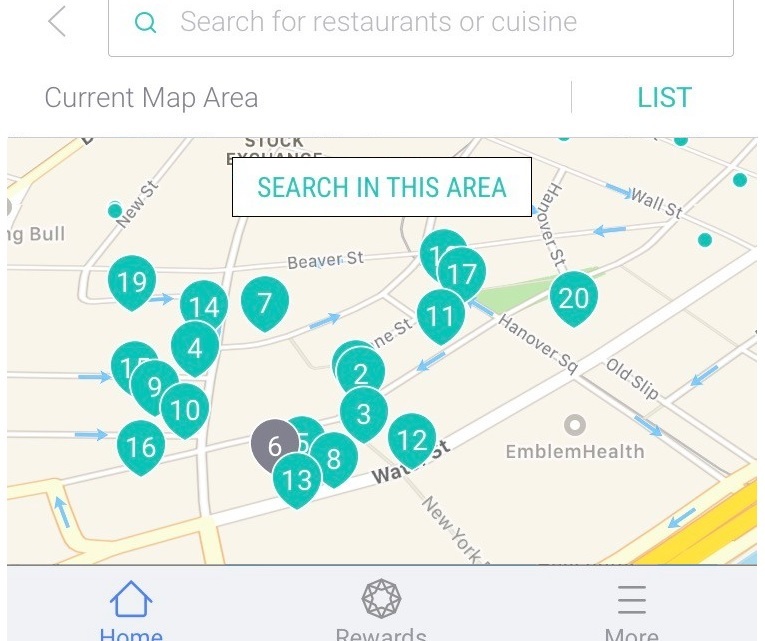 First, discovery: You can search for food and drink items nearby. This can be as broad as “coffee” or as narrow as “falafel”. Results are sorted by cafe location and can be viewed on a map if you like. Second, order ahead: For each participating cafe, you can see the whole menu, select what you want, and even make modifications for diet or preference before checking out. You pay in the app and can even do so via an Apple Pay fingerprint. Ritual gives you an estimate of when your order will be ready and even alerts you, based on your location, when you should leave to go pick it up. When you get there, look for Ritual pick-up sign and skip the queue. Third, rewards and incentives: Ritual offers cash back rewards based how much you buy through the app. They also ping you with special incentives like 20x points if you re-order from one of your past favorites in a certain timeframe or extra rewards if you order 3x in a given week. Here’s a screen shot from my Ritual app that shows the density of Ritual participants really close to Joynture – lots of options!